Vile Momo internet suicide ‘challenge’ has made its way to Minecraft via a mod and Microsoft has moved to clamp down on it. As few weeks ago, we reported the spread of another vile internet ‘challenge’ called the Momo Suicide Challenge. As the name would suggest, it follows the same vein as the Blue Whale challenge and encourages people to kill themselves. Now though, the Momo Challenge has made its way to the wildly popular game, Minecraft and Microsoft is said to be clamping down on it. The developer of the game, Mojang, is owned by Microsoft. According to a report by Fox News, Microsoft said that it is dealing with a mod that makes the character appear in game, and then proceeds to chase down the player. The character also seems to be holding a smartphone/tablet, which appears to display the WhatsApp logo. 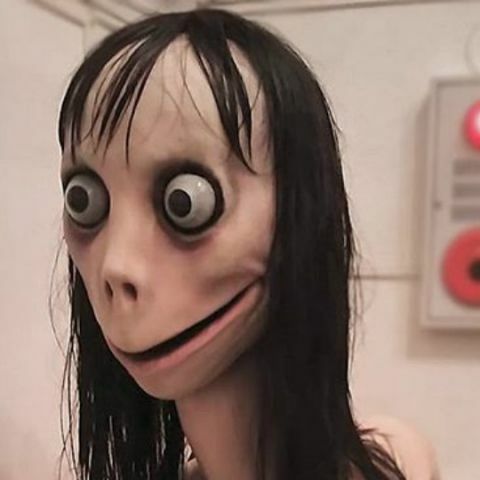 To recall, the Momo Challenge requires users to get in touch with ‘Momo’ though WhatsApp, after which they reportedly receive violent and disturbing images through the platform along with tasks that they have to perform. It is believed that the users are threatened to have their personal information published online. These threats could be used to ensure that the ‘challengers’ comply. The appearance of the mod is a serious concern as Minecraft is quite a popular game, especially with small children. The ‘challenge’ is already being investigated as the cause of the suicide of a 12-year-old girl in Argentina. The last thing anyone would want is for the challenge to spread through a video game.